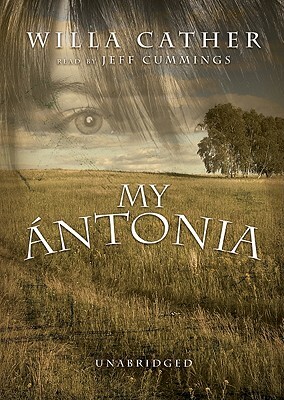 Widely recognized as Willa Cather's finest book and one of the outstanding novels of American literature, My ntonia tells of the life of early American pioneers in Nebraska. Through Jim Burden's endearing, smitten voice, we revisit the remarkable vicissitudes of immigrant life in the Nebraska heartland with all its insistent bonds. Guiding the way are some of literature's most beguiling characters: the Russian brothers plagued by memories of a fateful sleigh ride, ntonia's desperately homesick father and self-indulgent mother, and the coy Lena Lingard. Holding the pastoral society's heart, of course, is the bewitching, free-spirited ntonia. Infused with a gracious passion for the land, My ntonia is a deeply moving portrait of an entire community and its way of life.